My Favorite Healthy Cookbooks of all time! Here are my "Top 10 Favorite Healthy Cookbooks" of all time, although with so many recipes on-line these days, I often simply type in the recipe and voila, thousands of great recipes to choose from! I also tend to just cook simple, real foods that do not need a recipe. Quick and easy cooking is a healthy diet habit! Pictorial: I am a visual learner, and I need to see a recipe. I love cookbooks that have a picture on one side and the recipe on the other. That sells me right off. Full of Statistics: I am a complete nerd. I love statistics, because they are helpful. Often I will see two similar recipes, but one will be half of the calories. That will be my choice. I rarely use cookbooks without statistics, unless I can tell from the simple ingredients that the recipes are low calorie, healthy, veggie filled ones! Full of Quick, Main Dish Recipes: I hate many cookbooks because they are full of desserts, which I rarely make. I love recipe books that offer simple, healthy, and quick main dish meals. I think most of us are busy, but still want to eat well. Healthy food can be quick! I love that! 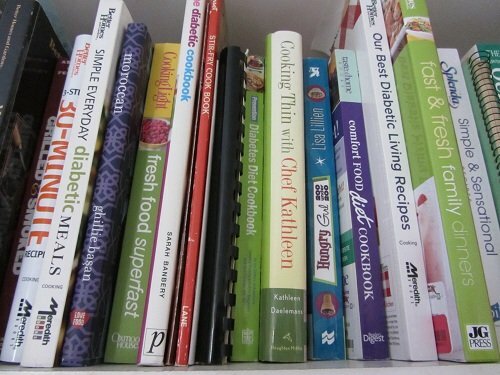 Full of Recipes that Contain Vegetables: I love diabetic cookbooks, because they offer healthy veggie filled recipes that help keep blood sugar in balance. They also contain healthy grain recipes, and always contain many eating tips and meal plans that I find useful. Their desserts are fruit centered which I love! 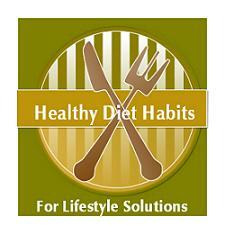 Full of Healthy Eating Tips and Substitutions to Recipes: I am very creative. I rarely make a recipe as is, and I love cookbooks that have other suggestions that you can add. I just pick my favorite ingredients and adapt it to my families likes. I also love recipe books that offer practical tips! Scratch Cooking: I dislike cookbooks that call for ingredients that are processed. I love cooking from scratch to avoid chemicals, pesticides, food additives, sugar and salt! I love ones that offer whole real foods! These healthy cookbooks each have a place in my heart for different reasons. I lived in Morocco for eight years in my mid-twenties to early thirties. I learned to really cook there, because there were few processed foods. Everyone went to the store daily, if not more, ate fresh hot barley bread or baguettes at every meal, bought over 50 pounds of produce weekly at the local farmers market, and ate meat sparingly. Meat was far too expensive, plus the fly situation made eating meat an unpleasant experience! The Mediterranean Diet was born in me. I tend to like cookbooks that focus on vegetables, because this is how I learned to cook! Buying healthy cookbooks and learning to cook well is a great Lifestyle Solution for everyone to aim for!